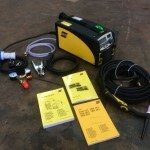 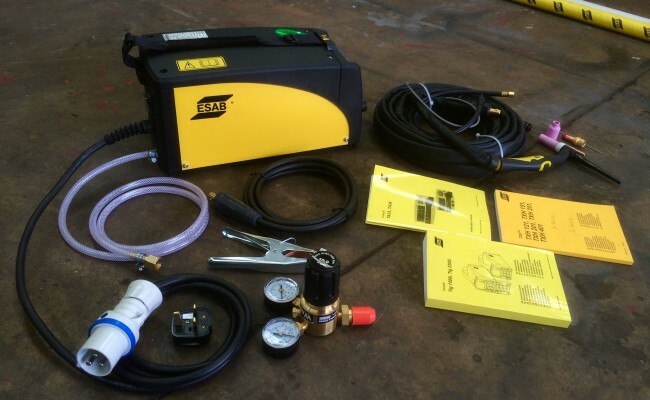 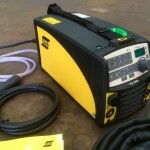 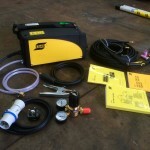 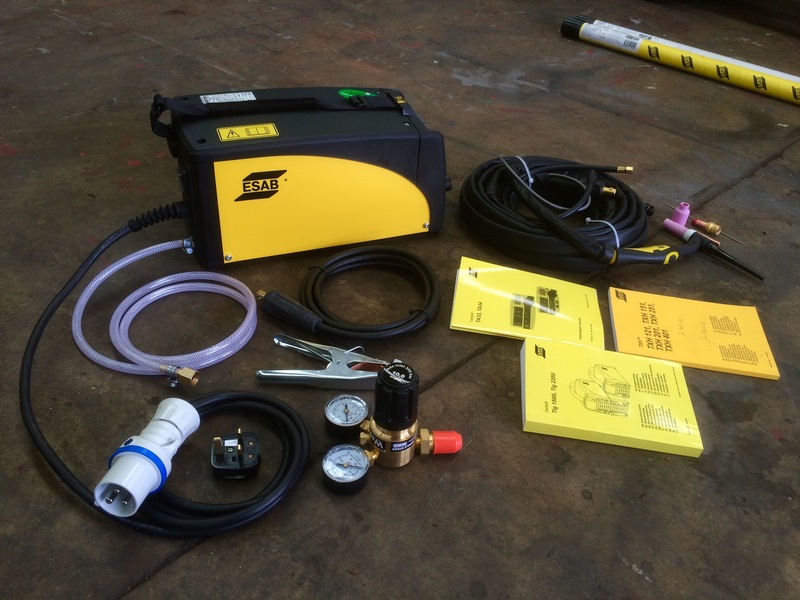 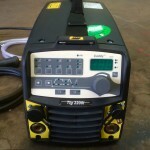 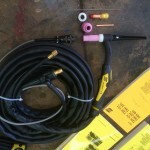 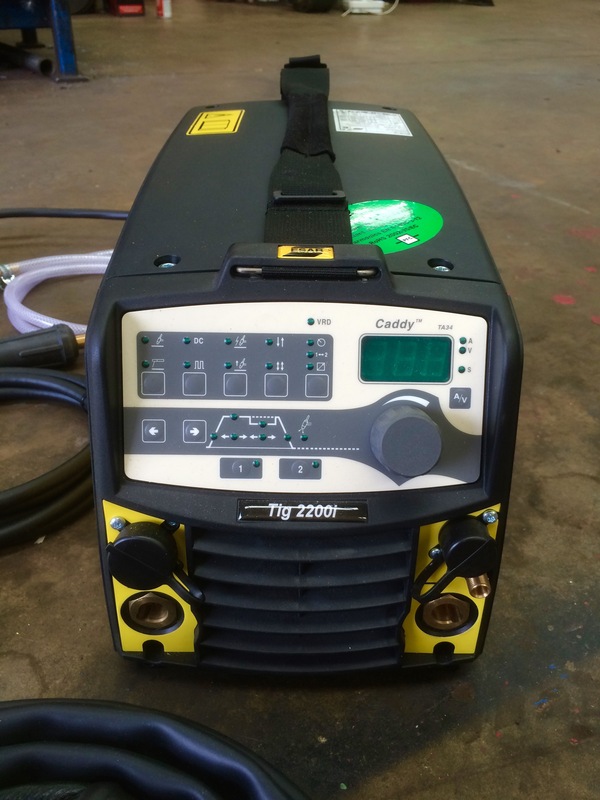 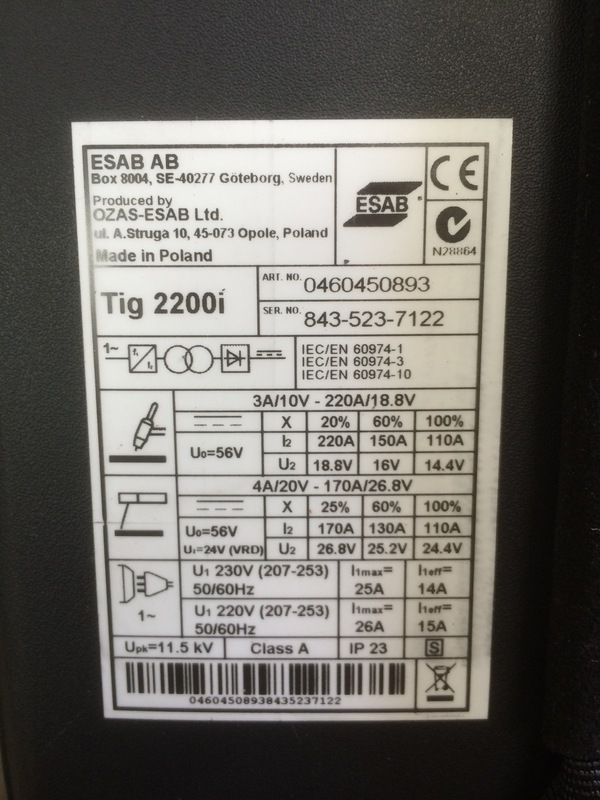 The ESAB Caddy TIG 2200i TA34 is a fabulous 240V pulsed DC TIG welder. 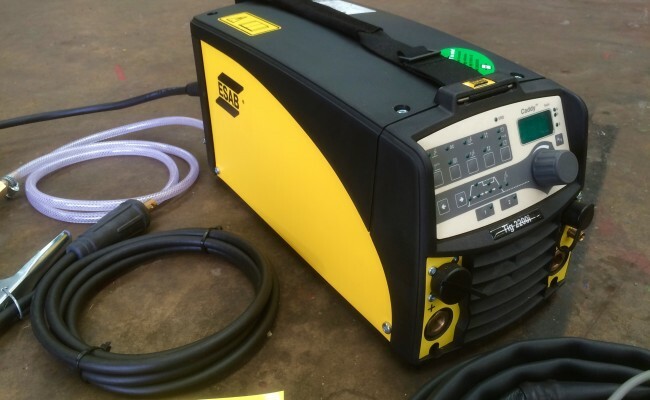 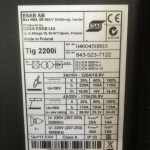 It is tiny, light weight and portable, with an impressive duty cycle for it's size and ESAB's 'energy saving green technology,' making this inverter cheap to run. 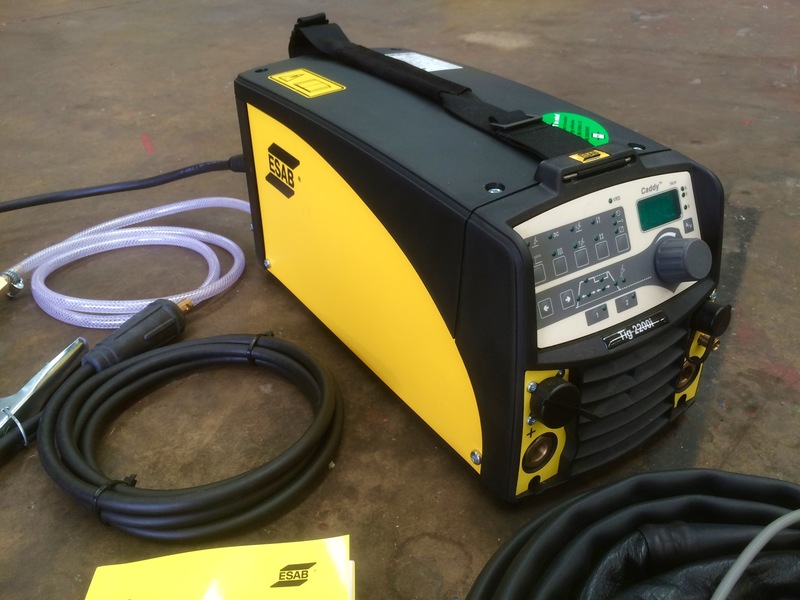 At Spectrum we keep the TA34 model in stock, which is the 'pulsed TIG' model with more capabilities and settings, compared to the TA33 which is slightly more basic, but cheaper. 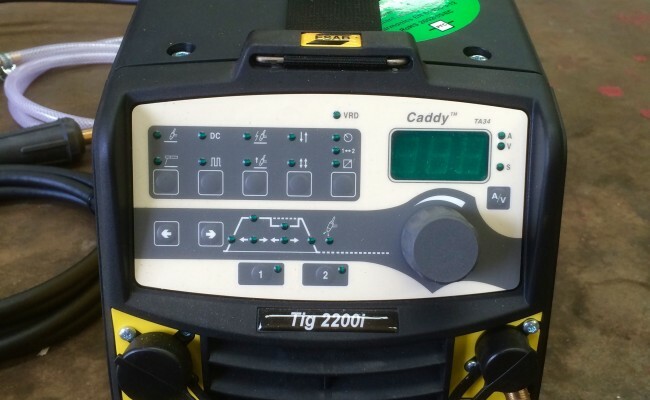 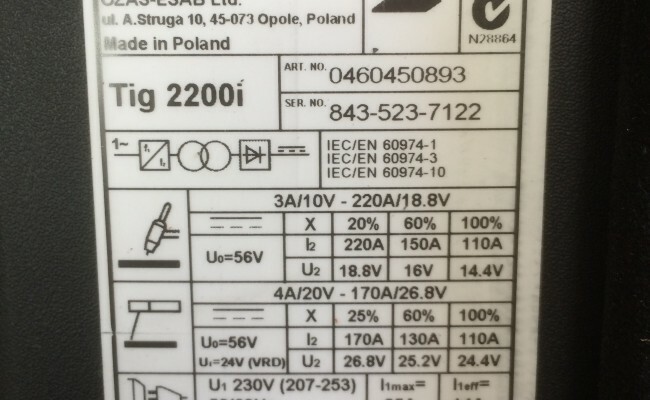 We like it so much we have made these 240V Caddy sets a part of our hire fleet, as well as available to buy. 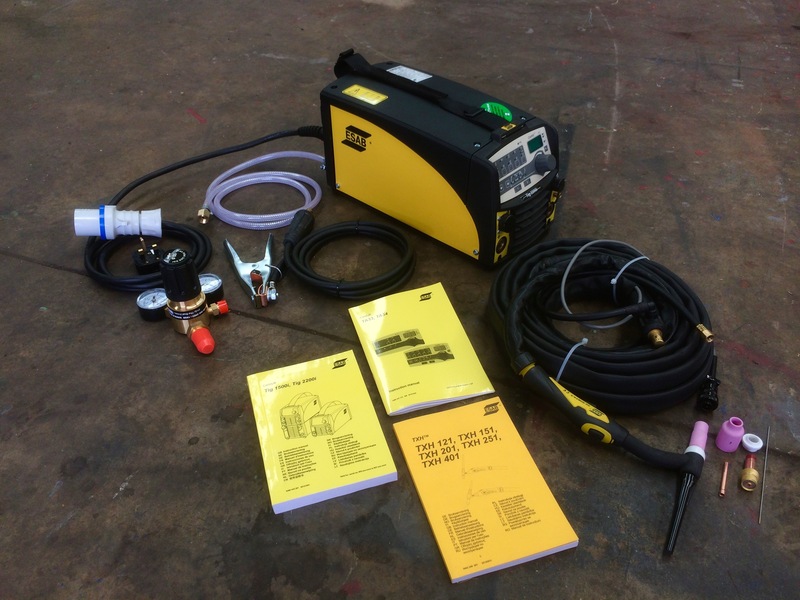 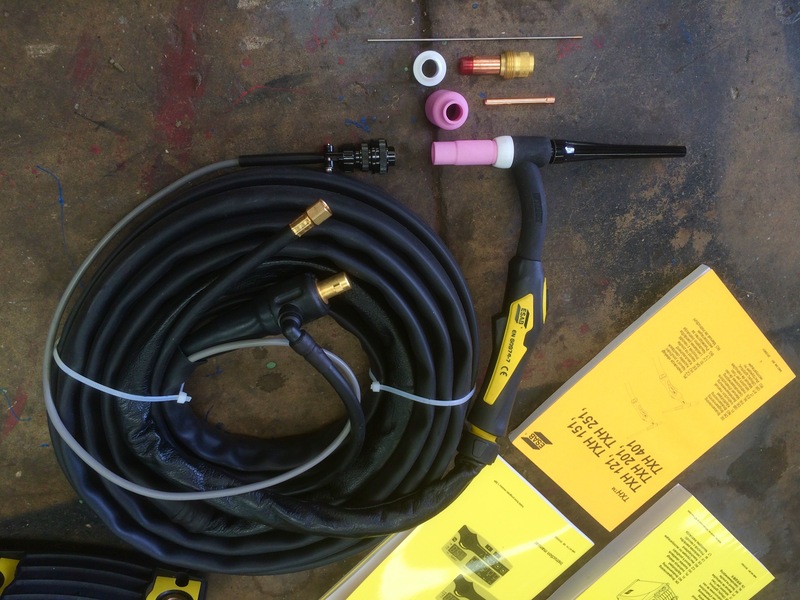 We also stock these TA34's with the 8 meter ESAB WP17-Flexi head TIG torch, as when we hire out these machines a lot of our customers like to be able to have more room to move around their work piece, without having to move the welding machine and bottle. 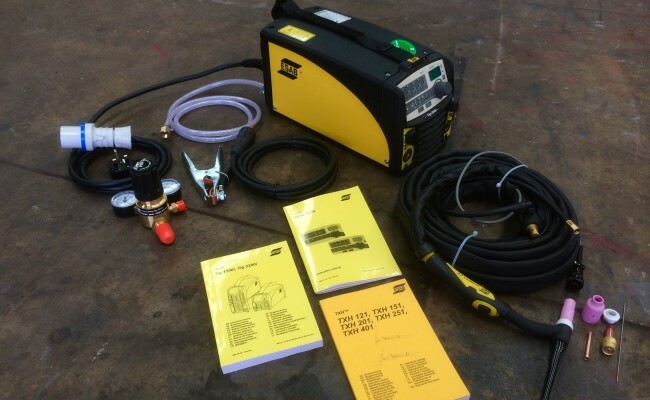 Then again, some people prefer less torch cable and go for our 4 meter ESAB WP17-Flexi Head TIG torch for bench work and close range welding jobs. 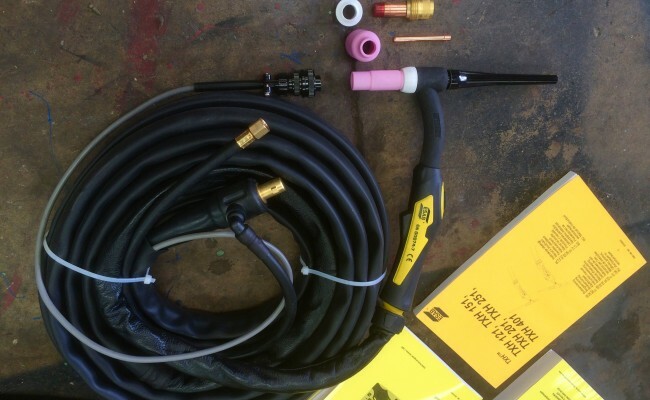 We make sure to keep a wide range of stock options available depending on what you require, so just ask our experienced team for anything you need, whether it's a 14 ltr flow meter or argon purging equipment.